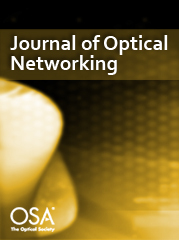 The rapid advances in dense wavelength-division multiplexing (DWDM) technology have enabled the provisioning of hundreds of wavelengths on a single fiber, which has brought about a large increase in the size of optical cross-connects (OXCs) as well as in the cost and control complexity of such OXCs. Waveband switching (WBS) is a concept recently introduced to reduce the cost and control complexity of OXCs. The basic idea of WBS is to group a set of wavelengths together into a waveband and transmit and switch the waveband optically using a single port. In a WBS network, a waveband is transmitted and switched as a single entity whenever possible and is demultiplexed into individual wavelengths only if necessary. A multigranular OXC (MG-OXC) is employed not only to switch traffic at multiple levels or granularities such as fiber, waveband, and wavelength, but also to add and drop traffic at multiple granularities. Traffic can also be transported from one level to another via multiplexers within the MG-OXC. By using WBS, the number of ports of an OXC can be significantly reduced, leading to reduced size, cost, and control complexity of the OXC. Because of its practical importance, WBS has attracted much attention from both industry and academia in recent years. To realize the vision of a WBS network, it is critical to solve various related problems, such as switch architecture and algorithm design. Owing to the differences in network design objectives, however, traditional techniques developed for wavelength-routed networks (WRNs) cannot be directly applied to WBS networks. This has motivated a large amount of research activities in recent years that seeks effective solutions to WBS related problems. The aim of this feature issue is to present a collection of high-quality research papers that reflect the state-of-the-art research progresses and results in this focus area.